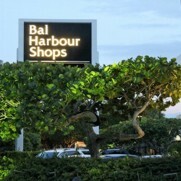 Bal Harbour was built on the premise that unique, high-quality, fashion trends, and designer names were central to the international shopping community, and they have proven their point by becoming the mall with the highest sales per square foot of retail space in the World. Many high-end malls carry great names like, Neiman Marcus, Saks Fifth Avenue, Ralph Lauren, Gucci, and Armani, but Bal Harbour Shops also carries designer names like Balenciaga, Michael Kors, and Harry Winston, among many others. Love shopping? Looking for things to do in Miami and Fort Lauderdale? Go shopping to the best South Florida malls with Metro Shuttle shopping excursions. Without any driving or parking hassles. 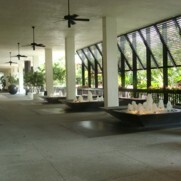 The setting is a more intimate and lovely open-air mall in North Miami Beach, with quaint shops along two floors, great dining, and a style and finesse that is unique to Bal Harbour Shops. The sound of flowing water in the many waterfalls, the ponds teeming with colorful fish, and the lush landscaping make the experience of shopping a real pleasure. You will see the newest and best from the most renown trend leaders in the world, shop in stores designed to be the flagship of their collection, and relax in the beautiful and tranquil environment. After your visit you will understand why the biggest names in fashion feel they need to have a location here. We wish you the best of luck, and happy shopping! 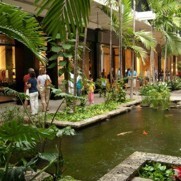 Shopping at the Bal Harbour Shops is an experience that is an international attraction in South Florida. Don't Miss it!. Sign up to go shopping!